1551   in E. Lodge Illustr. Brit. Hist. (1791) I. 145   From X'temmas next following. c1755   in B. Ward Hist. St. Edmund's Coll. (1893) 303   In ye Xmas and Whitsuntide  Vacations. 1799   S. T. Coleridge Let. to R. Southey 24 Dec. (1956) I. 552   My Xstmas Carol is a quaint performance. 1801   S. T. Coleridge Let. 31 Dec. (1956) II. 778   On Xmas Day I breakfasted with Davy. 1875   S. G. Thomas in R. W. Burnie Mem. & Lett. (1891) 55   We are not going to have any Xmas festivities or visitors of any kind. For those unfamiliar with OED the format is original publication date, work (year of printing consulted), page, quote. As you can see, the form from 1551 is actually X'temmas. The OED has made a judgement call that this form is closely enough related to Xmas to count. The first usage of the exact letting Xmas is 1755. This is an interesting judgement because it appears X'temmas is actually a unique formulation and not a shortening of the then-current word for Christmas, Cristmas (according to the OED entry for Christmas). However, the twelfth century (so Old English) form of Christmas, Cristes mæsse ("Christ's mass", OED, from Anglo-Saxon Chronicle, 1134), actually does have an attested shorter form, Xp̃es. mæssan (Anglo-Saxon Chronicle, 1123). (Xp=Chi rho, the first two letters in Χριστός.) The Dictionary of Misinformation (1975), however, suggests that the Xp̃es form is actually the originally form of the word which was then lengthened into Cristes. I believe the OED agrees with that judgement by listing Xp̃es. mæssan under the Christmas entry instead of the Xmas entry. The use of Χ as an abbreviation for Χριστός dates back to some of the earliest extant Greek manuscripts, in the third century, by the way. So, the answer to the question is, it depends on how you consider the history of the word. In one sense, something like X mass was the original English way of rendering the holiday, which was then lengthened in the twelfth century and shortened again in the sixteenth, with the exact modern lettering not appearing until the eighteenth century. So, before 1123, around 1511, or around 1755 are all valid answers to the question as to when Xmas first appeared, depending on how one decides if something is the same word or not. In contrast, the claim that Xmas is a secularization of Christmas is pretty recent. It seems likely that C.S. Lewis was the first to (indirectly) popularize the idea. In 1955, he wrote a satirical essay called "Xmas and Christmas: A Lost Chapter from Herodotus" which contrasted "Exmas," a holiday devoted to drinking and commercialism and "Crissmas," a religious holiday which just happened to occur on the same day. Although his intent was not to attack the abbreviation of "Xmas," his association of "Exmas" with commercialism seems to have entered (or captured the existing) the public conscious, as attacks on the "unholy" abbreviation start appearing in Christian publications shortly thereafter. The origin of Xmas has nothing to due with secularism. The next time someone claims you are "taking the Christ out of Christmas" tell them you are actually "putting the chi back into chi-rho-mass." Great Britain monks used "X" for "Christ" nearly a thousand years ago. They used "X" for "Christ" while transcribing manuscripts in Old English. They did so because the Greek word for Christ, ΧΡΙΣΤΟΣ, begins with the letters "chi" (or “X”) and "rho" (or "P"). And the monks used either "X" or "XP" in writing as an abbreviation for "Christ." The first recorded use of "X" in Christmas dates back to 1551. There is nothing wrong with using Xmas except from the confusion which may be derived from it. That is, Xmas may be less politically correct and offensive to some, so just say Christmas. All references above originally came from Origins of the Specious: Myths and Misconceptions of the English Language I am verifying each of them. The Greek letter Χ <"chi"> is the first letter in the word Χριστός < Christ >. It was often used in the past for easier transcription of scripture (from Greek to English). There is nothing wrong with using it, but the common mortal on the street most likely does not know its origin. Just use "Christmas". Not the answer you're looking for? 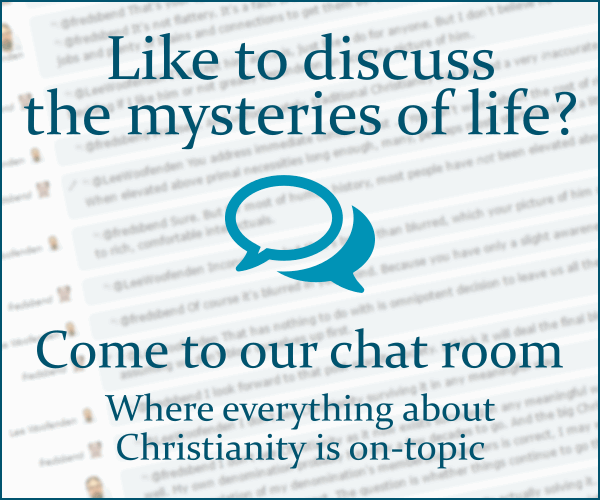 Browse other questions tagged church-history terminology origin christmas name-of-jesus or ask your own question. What is the origin of the Christmas tree and is it accepted in all Christian traditions? When is the Christmas Season? Christmas Tree Angel holding bread in one hand and coal in the other? Why is the The Nativity called “Christmas”?